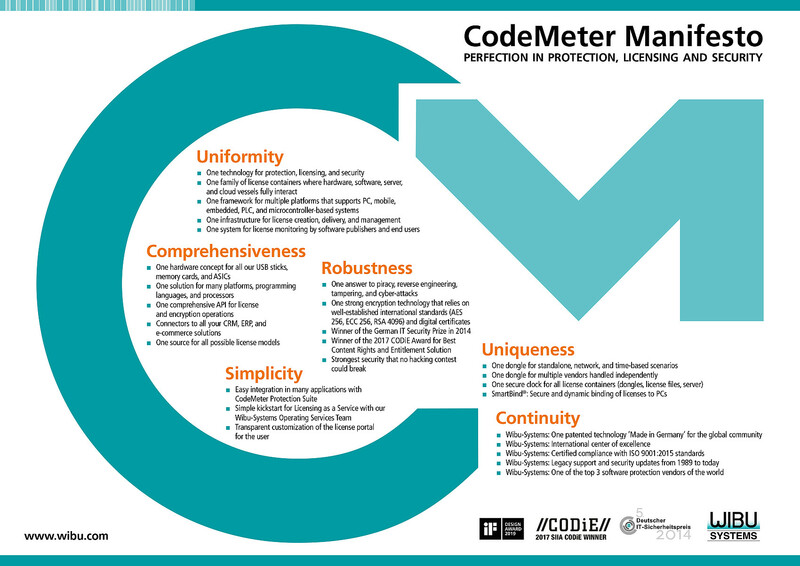 CodeMeter Trial License offers a cost-effective way to distribute an unlimited number of time-limited demo versions. The user installs the demo version on a PC and can use it without activation or registration for the period specified by you. You are fully in control of how much or how little the user is encouraged to purchase the software. When the trial period expires, the user cannot utilize the demo version any longer, leaving the option to purchase the software. An alternative to CodeMeter Trial License is a demo version with mandatory registration. Here, the user can use the demo version only after registering, which activates the license silently. The software publisher receives the customer’s data and can initiate targeted marketing actions to promote the purchase of the software. For more details about this option, please see Demo Version with Registration. 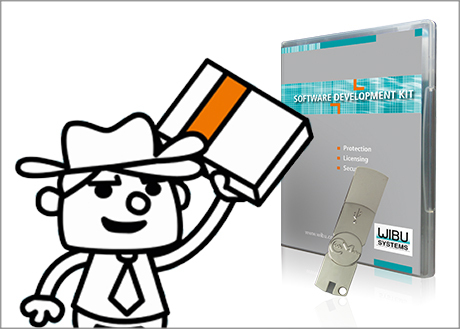 As a software vendor, you can protect your software with CodeMeter against reverse engineering and piracy. Protection Suite provides a simple and effective way to automatically encrypt the protected software. Alternatively, you can integrate CodeMeter API with your software. With the development tools of CodeMeter you can create a license file that is not bound to the hardware properties of your user‘s PC. The license file defines a Usage Period that sets the duration of the trial period you wish to enable for your users. The license file is tamper-proof: it can be imported only once onto a PC. When you first start the protected application, the start time of the trial is set in the license file. Once the preset expiration date is reached, the license can no longer be used, and the software can no longer be started. You also have the opportunity to decide whether other products or newer versions of your software can be used with the same demo license or with a separate license that you can create specifically for this purpose. By using a separate license, your user can test additional products or newer versions, irrespective of the original demo license. When your users install your software, CodeMeter Runtime is simultaneously installed on their PCs. CodeMeter Runtime allows the importing and use of the license file. The decryption of your code takes place in CodeMeter Runtime, a totally safe environment kept away from attackers. The secure virtual clock in CodeMeter protects your demo license against tampering attacks against the clock of the users‘ PC. Once the preset expiration date is reached, the license becomes invalid and can no longer be used. CodeMeter Runtime hides the information related to the activation on the users' PC. Re-importing the same license on the same PC would thus not be successful.